Nose job, nose surgery or rhinoplasty refers to the surgery of the nose, in which total reshaping of the nose can be done. Nose perches on the centre of the face, thereby providing harmony and aesthetics to the face. Plastic surgery of the nose is either done to enhance the shape or to correct deformities such as drooping tip, broad and deviated nasal bones, nasal hump, or depressed nose. Cosmetic nose surgery normally takes a couple of hours in which reshaping of the bones, cartilage and the septum is done. The patient is discharged on the same day. There are minimal side effects of nose surgery like swelling and bruising. 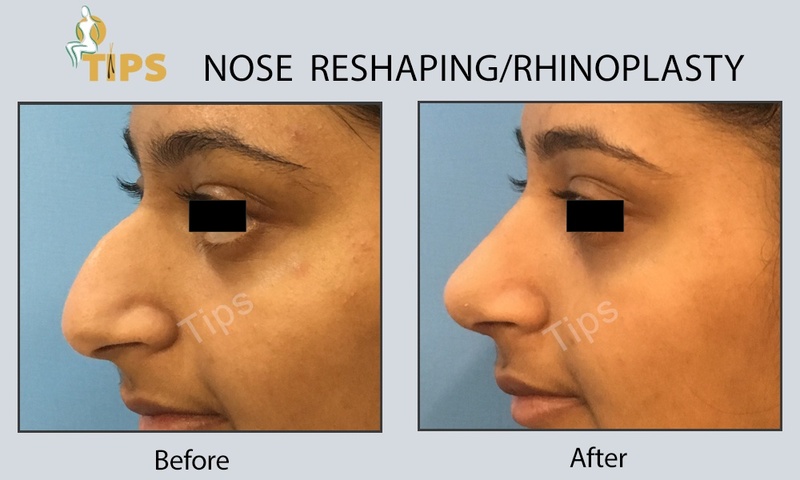 Are you Planning to get rhinoplasty in Punjab/ Chandigarh? 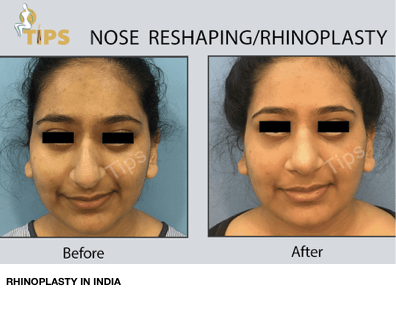 Tricity Institute of Plastic Surgery (TIPS) boasts of having the best rhinoplasty surgeons in India. 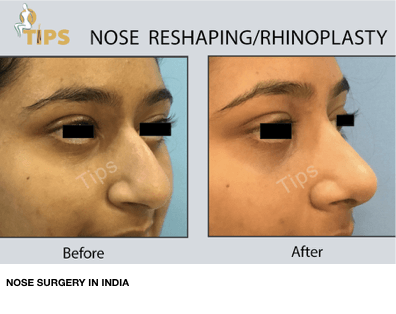 How much does nose surgery cost in India? TIPS in addition to being the best plastic surgery centre in India provides low cost nose surgery in Chandigarh.